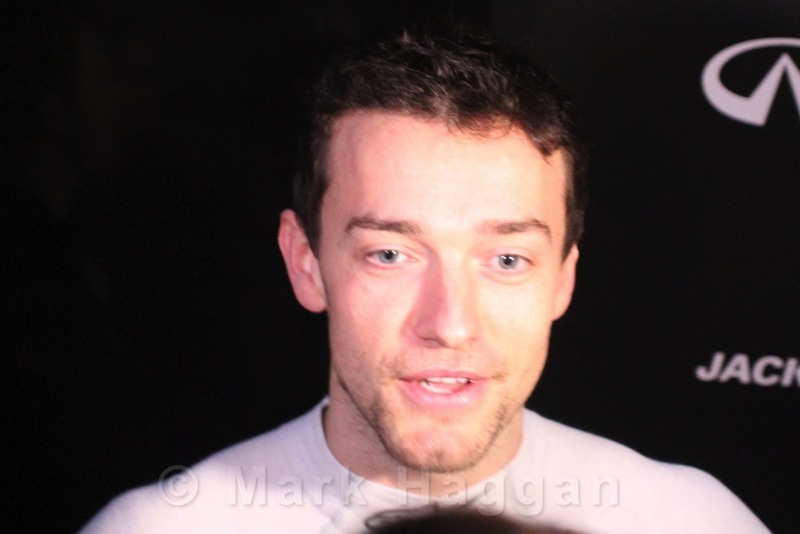 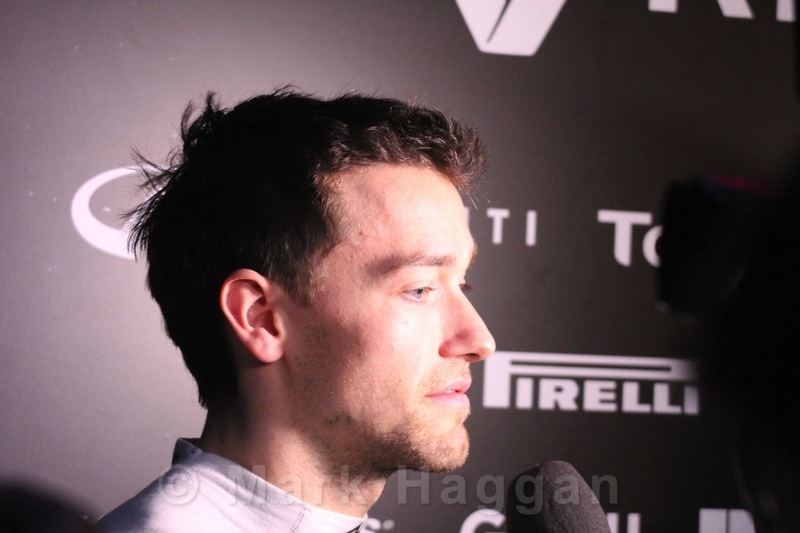 Jolyon Palmer made his way through karting before entering the T Cars series in 2005 at the age of 14. 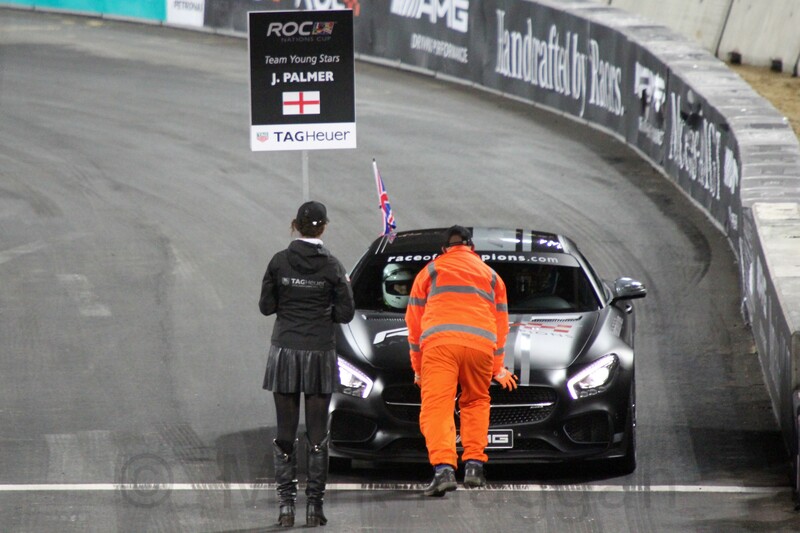 He had some impressive performances and in 2007 moved to Formula Palmer Audi, which had been founded by his father, Jonathan Palmer, back in 1998. 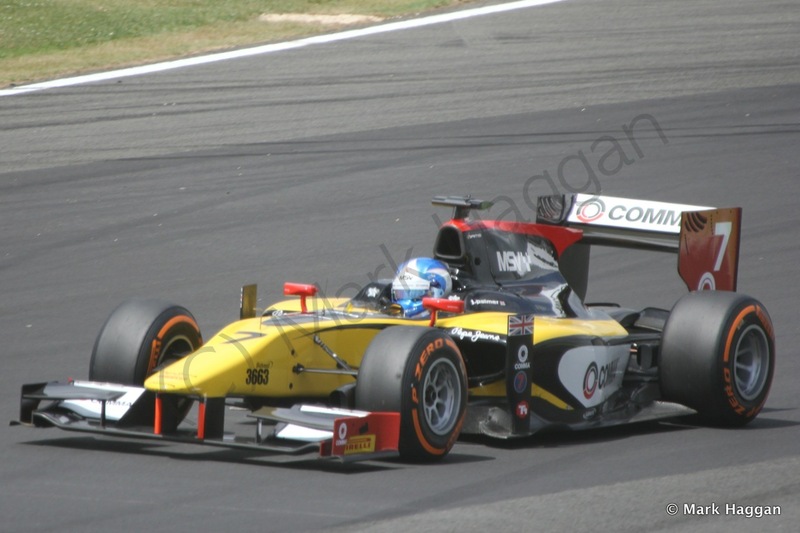 A second series in Formula Palmer Audi saw Jolyon take third place, and in 2009 he moved on to FIA Formula Two, where he stayed in 2010. 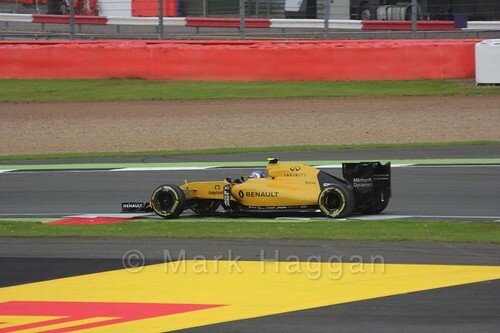 His win at Silverstone at the beginning of that season was the first British win in the series since 1983. 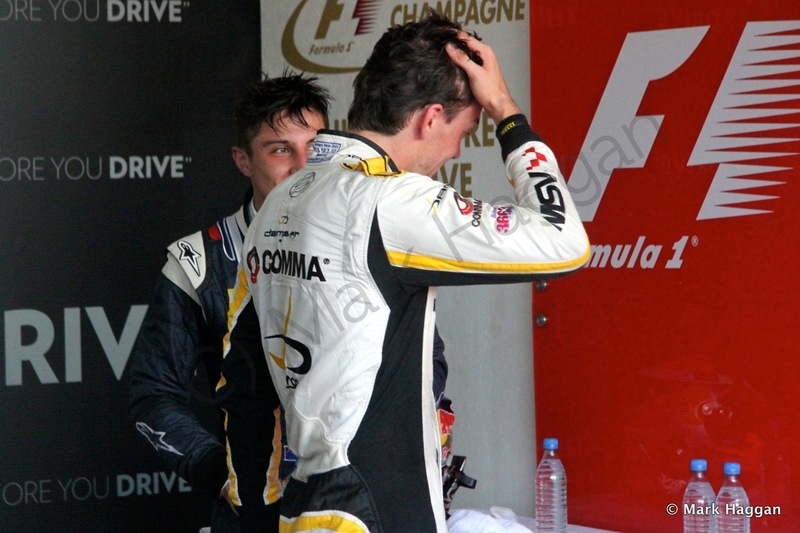 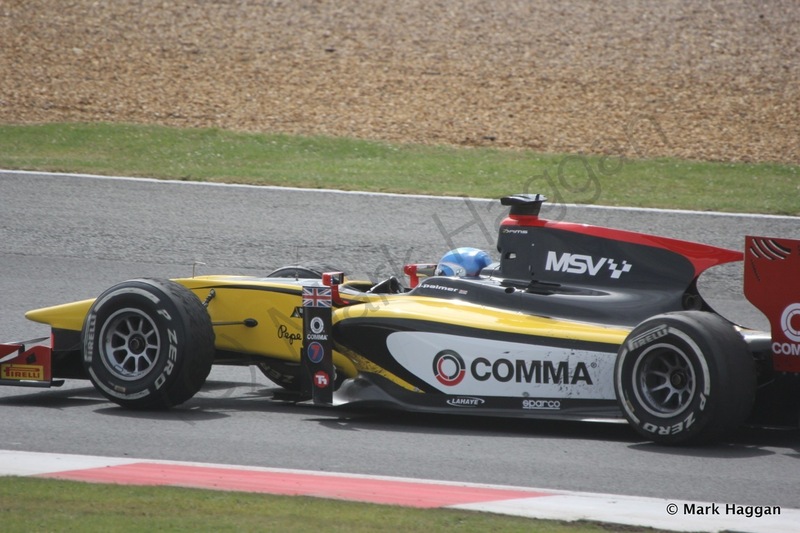 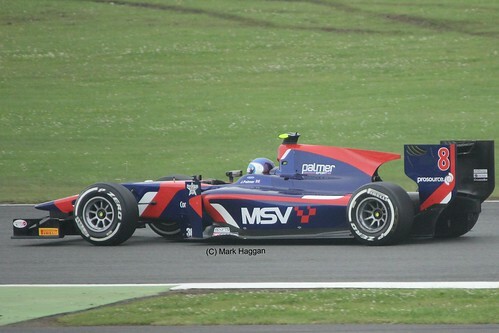 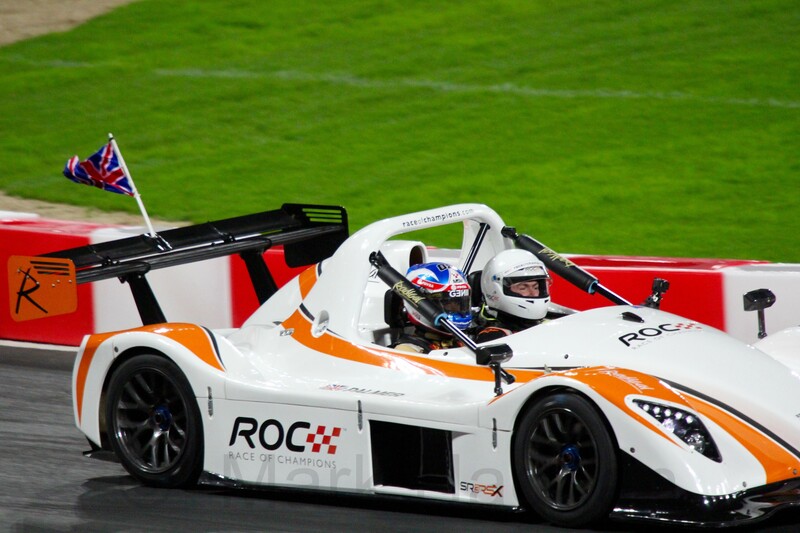 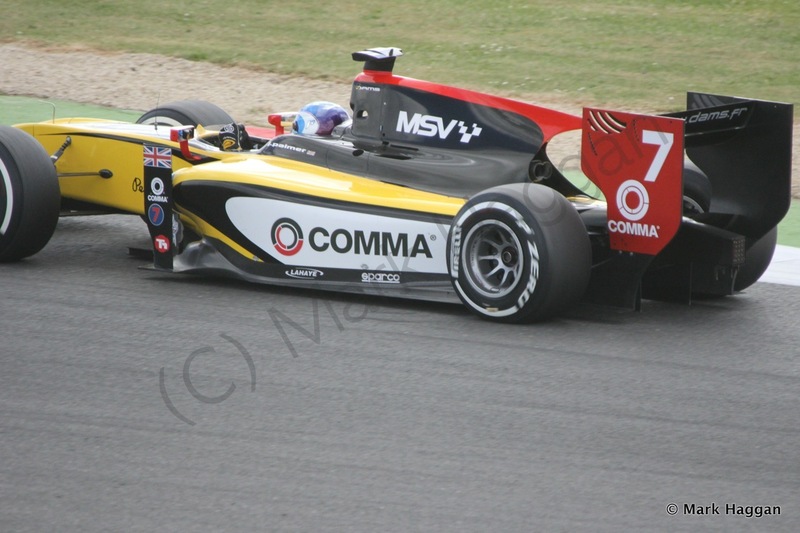 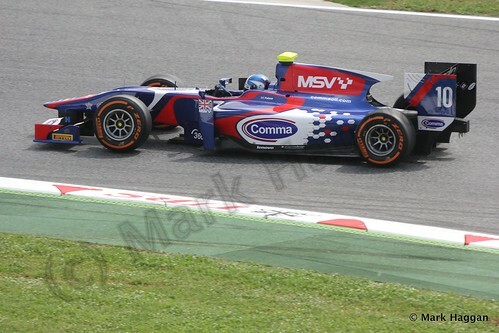 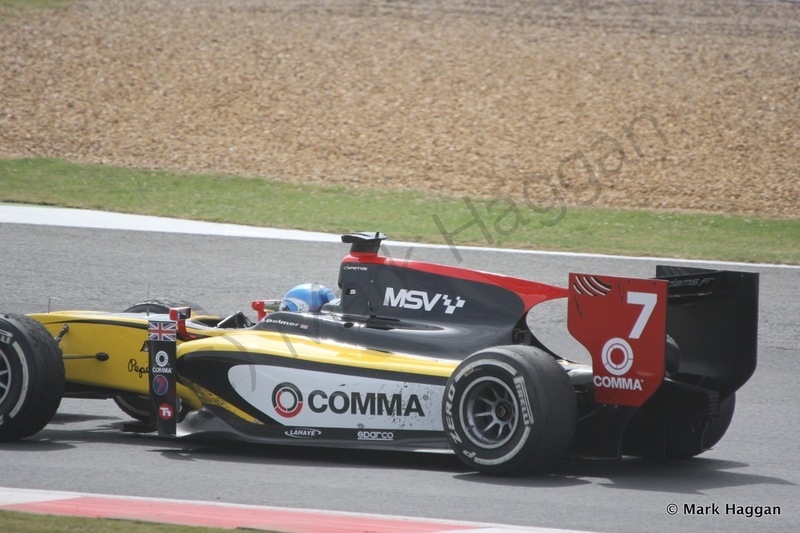 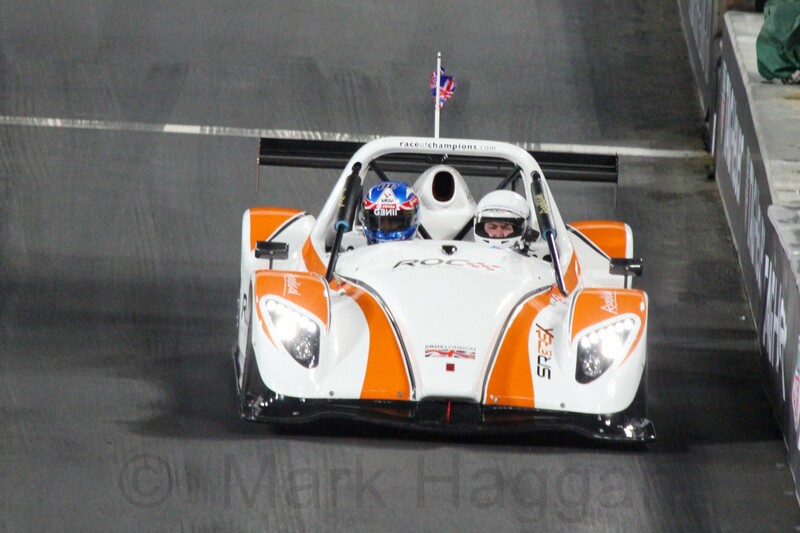 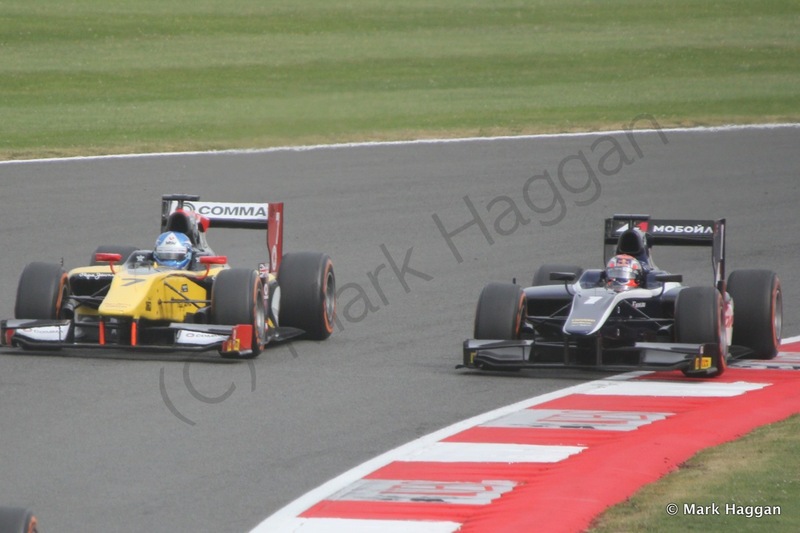 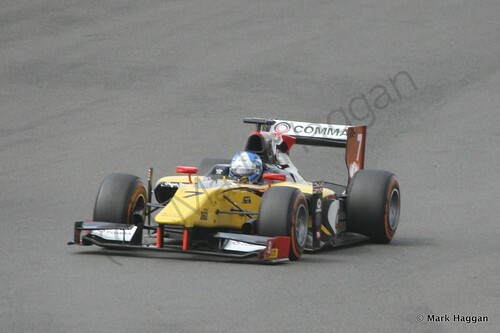 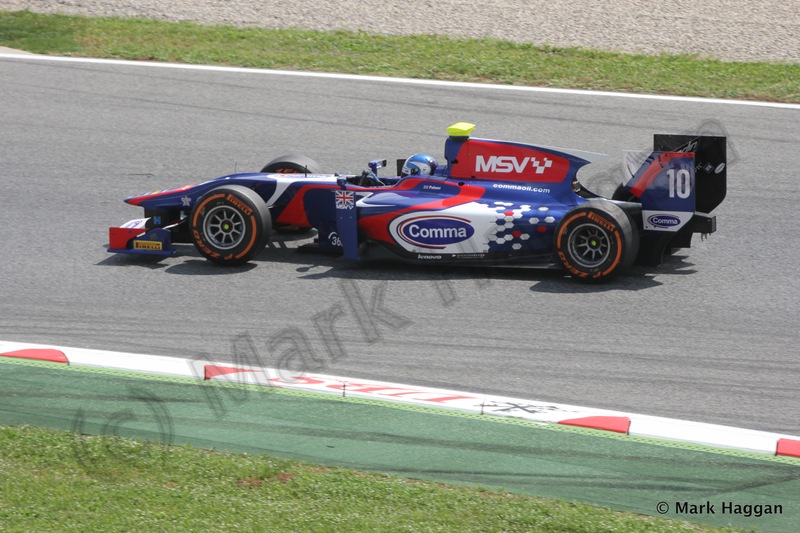 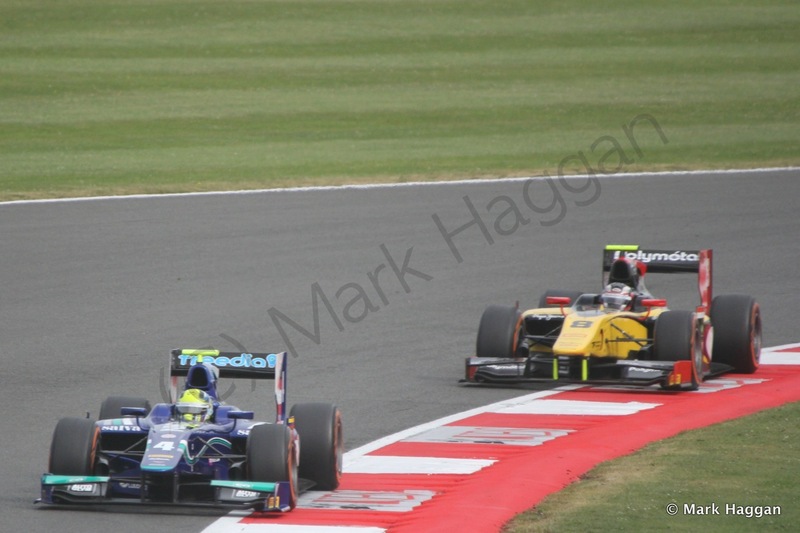 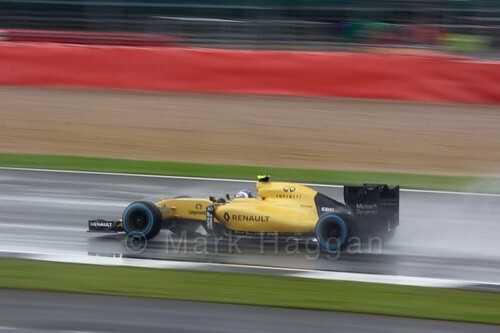 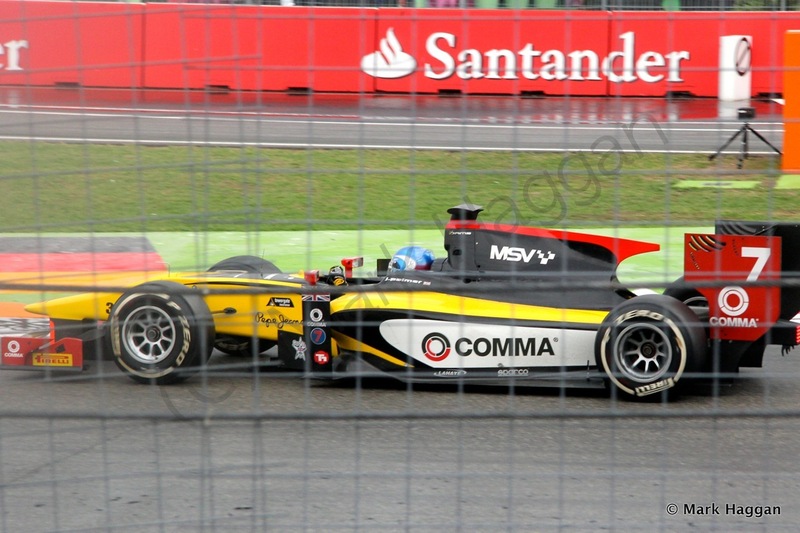 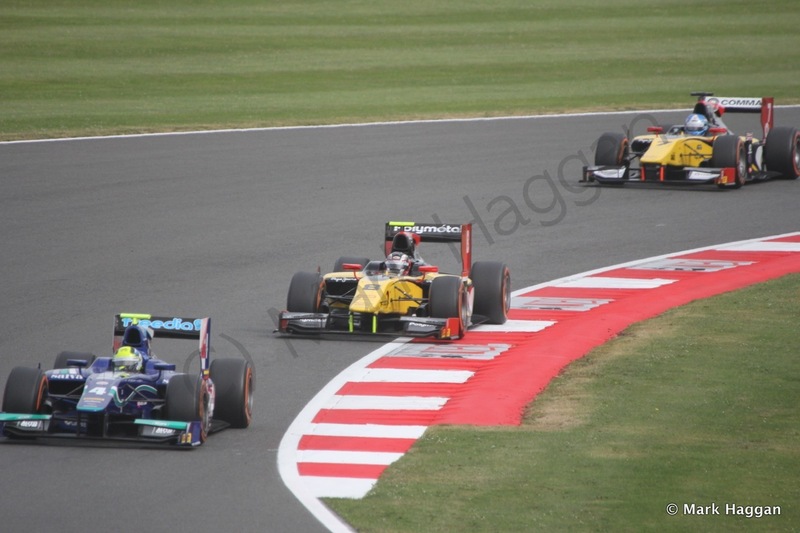 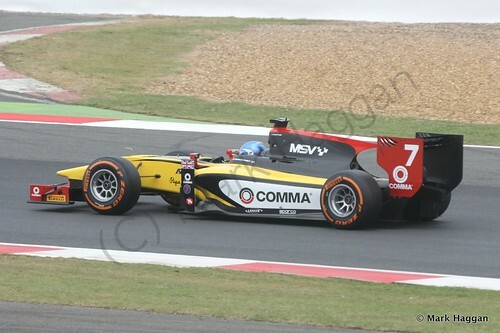 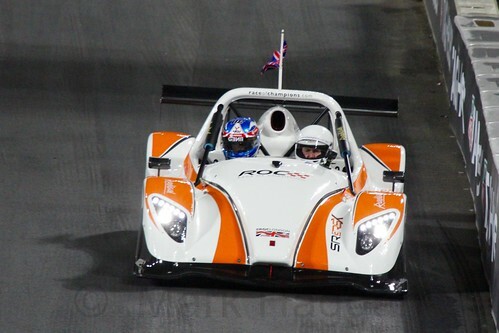 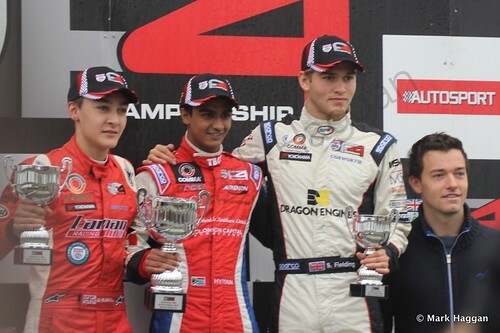 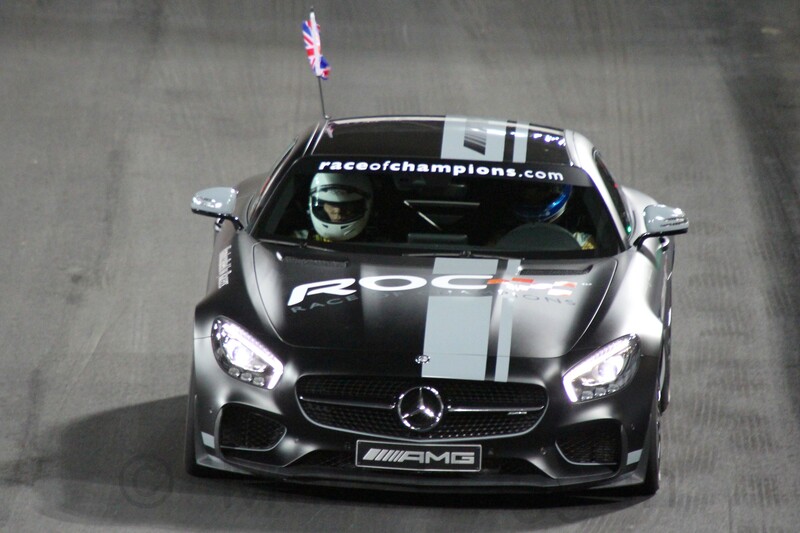 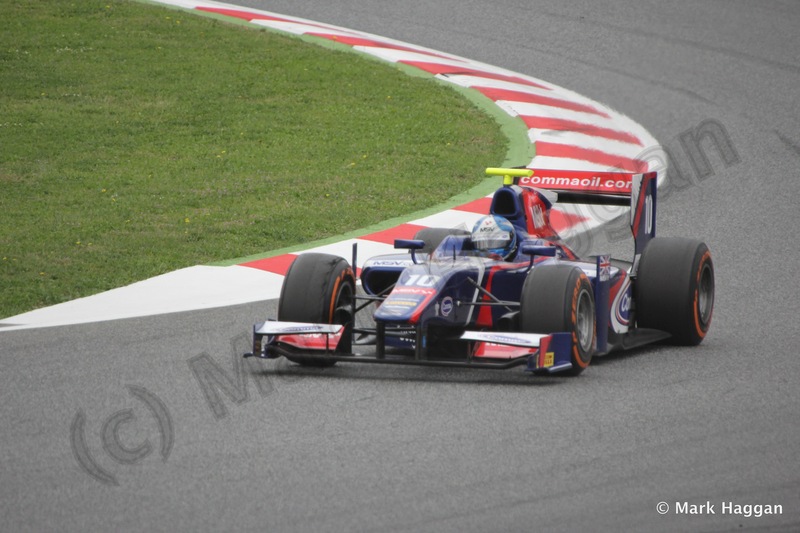 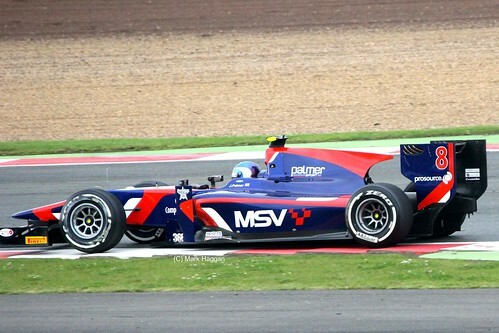 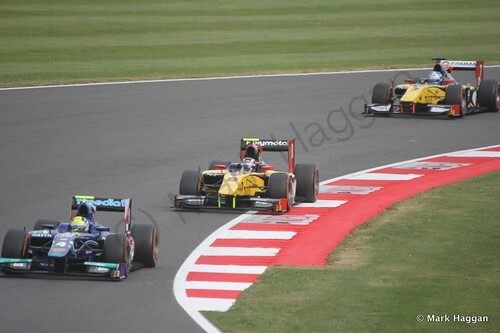 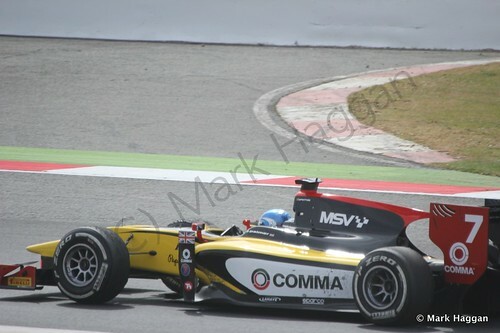 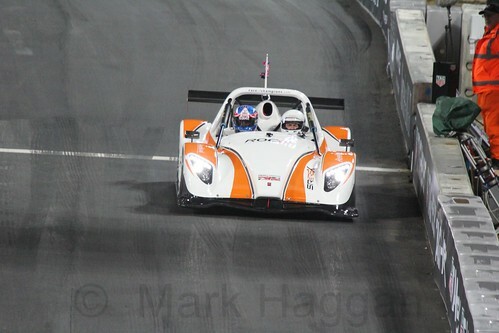 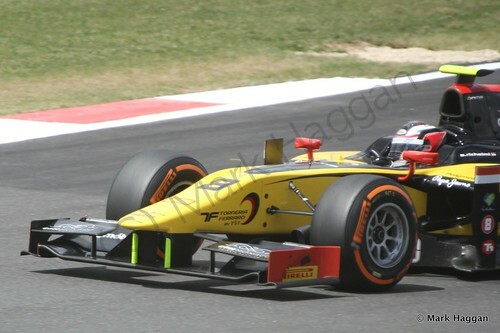 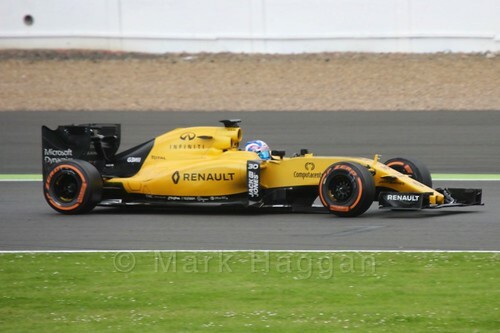 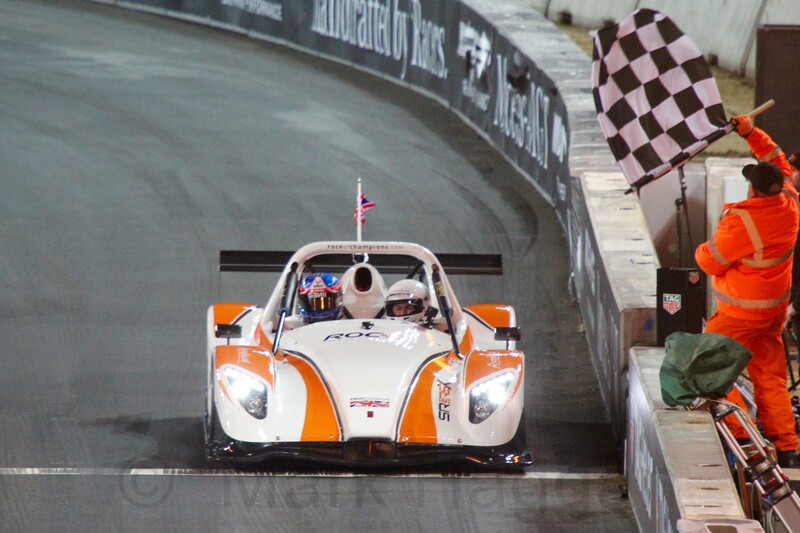 He finished the series as runner up to fellow Briton Dean Stoneman, and progressed to GP2 for the 2011 season. 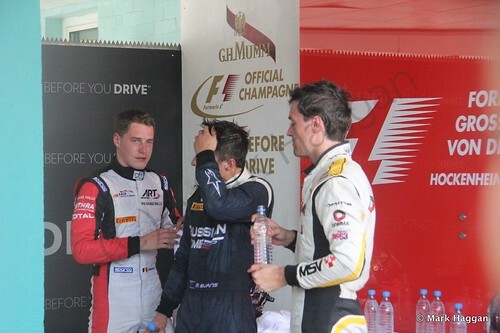 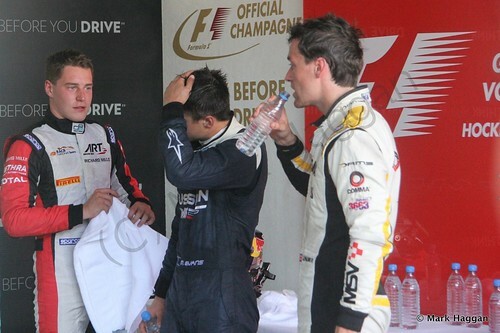 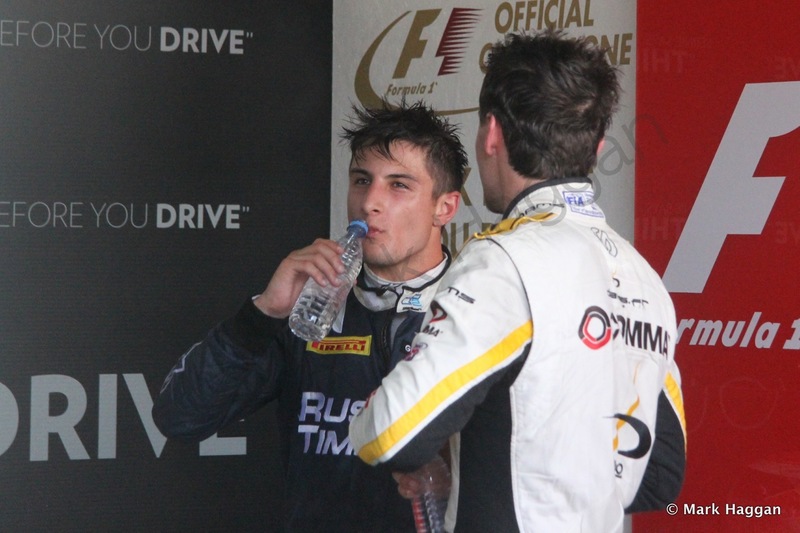 Jolyon partnered Josef Kral at Arden for the season, and stayed with GP2 in 2012 this time with the iSport team, alongside team mate Marcus Ericsson. 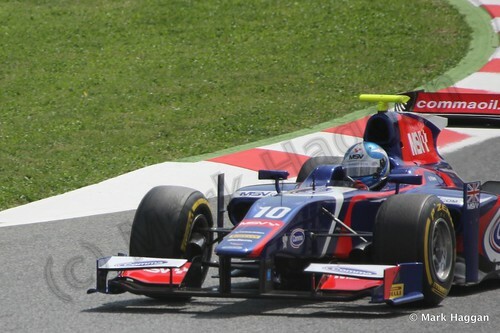 Monaco saw his first win in GP2, and he stayed with the series for a third year in 2013, this time alongside Felipe Nasr at Carlin. 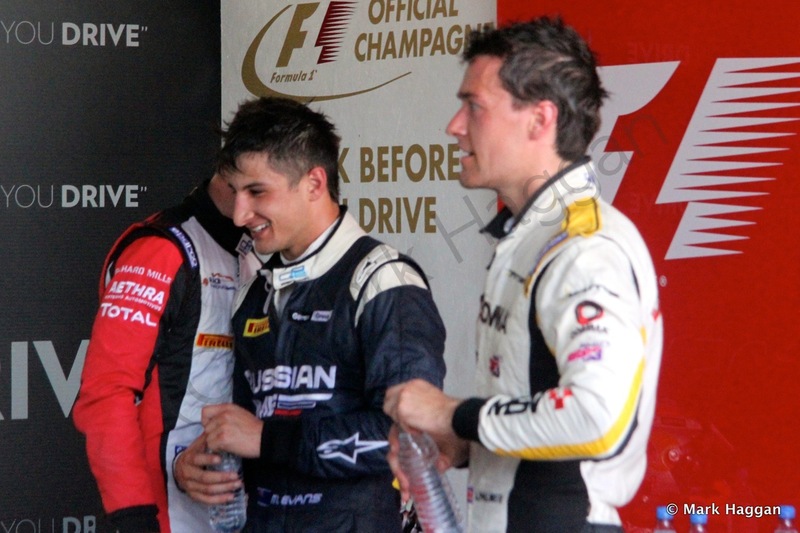 He returned to the top step of the podium at Hungary and Singapore, and in 2014 moved to the DAMS team alongside Stéphane Richelmi. 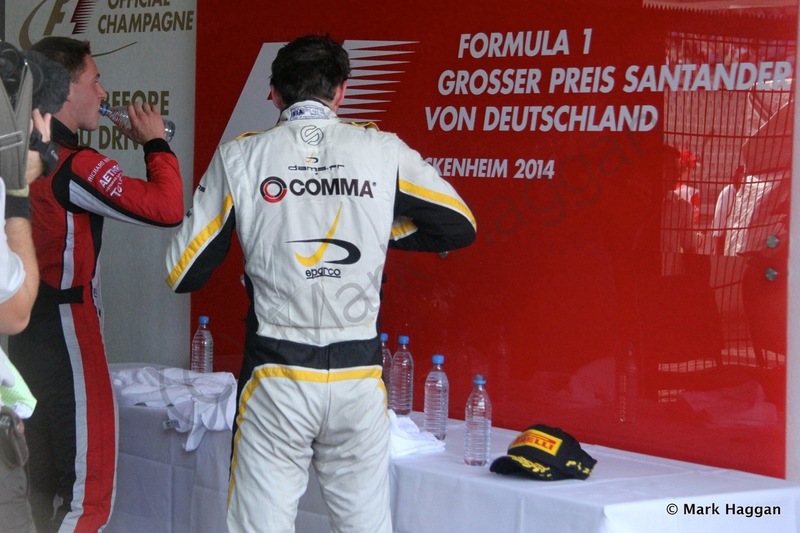 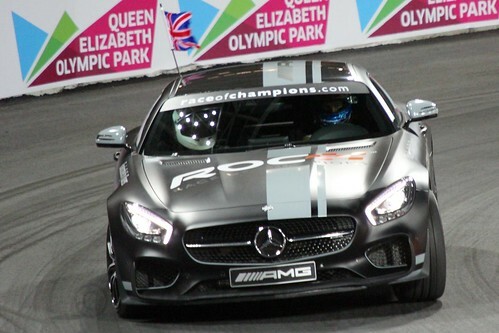 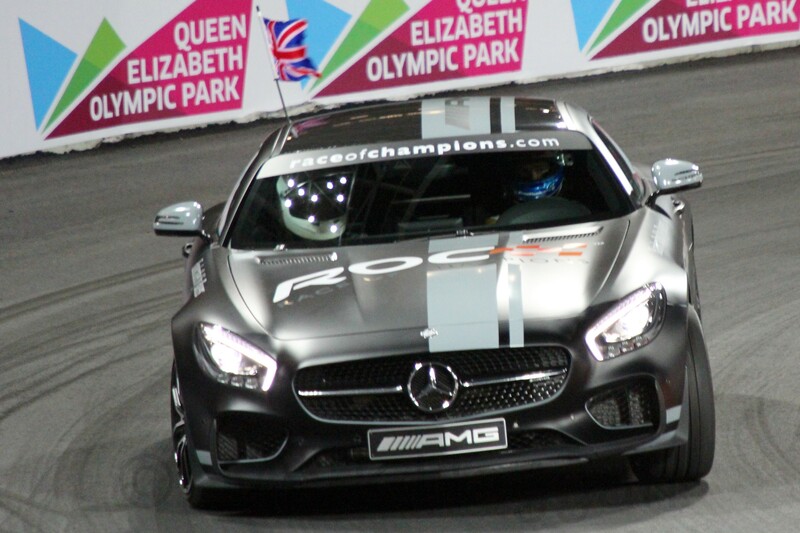 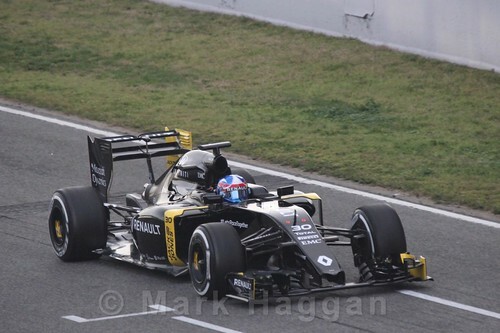 It was a good year for Jolyon with four wins, and he became series champion. He even made an appearance at the BRDC Formula Four championship at Snetterton at the end of the year to present the trophies on the last weekend of the series. 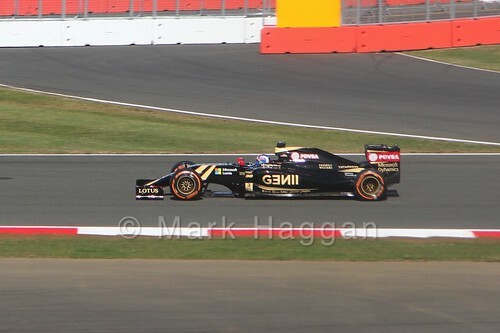 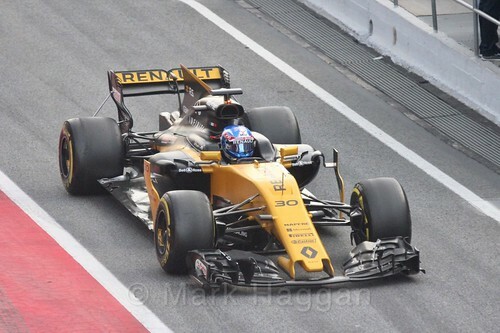 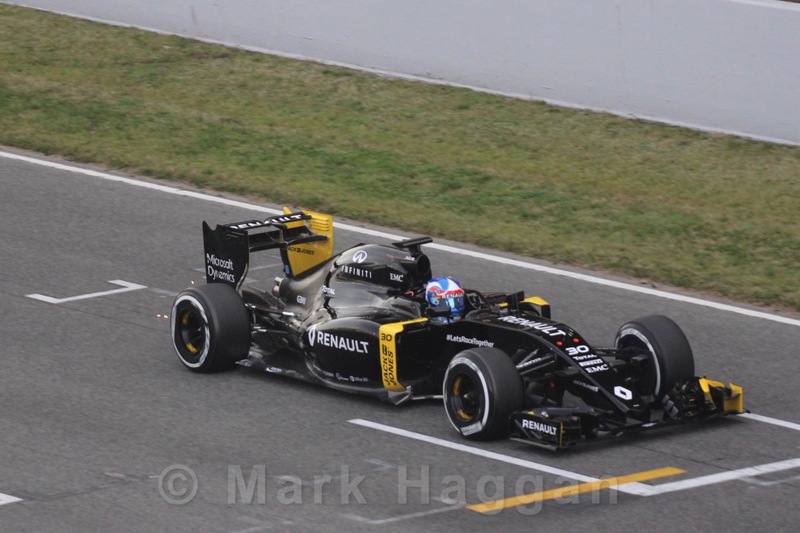 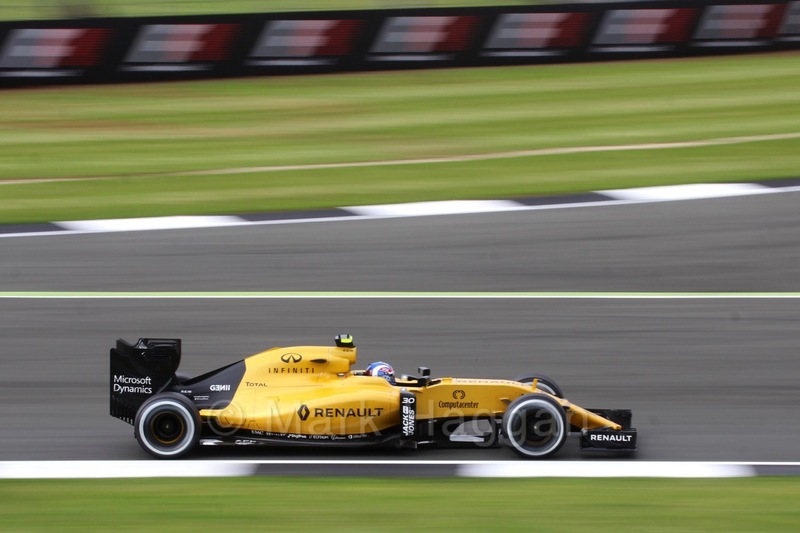 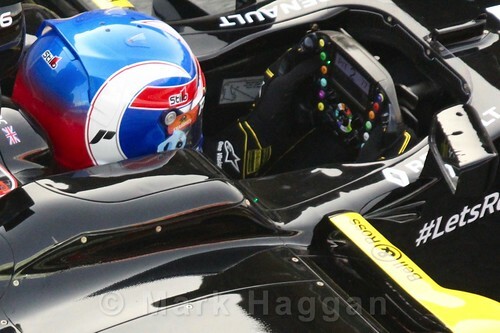 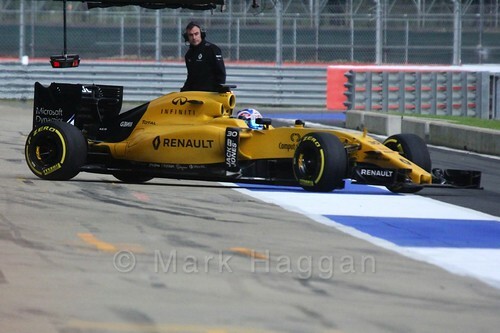 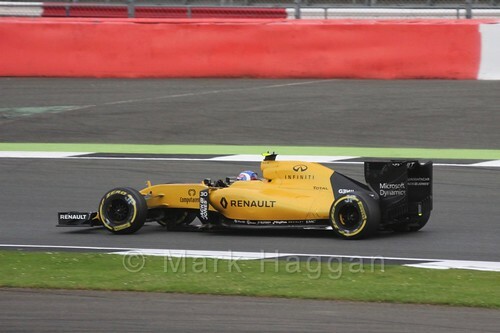 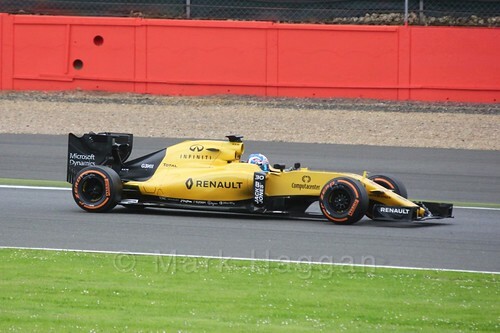 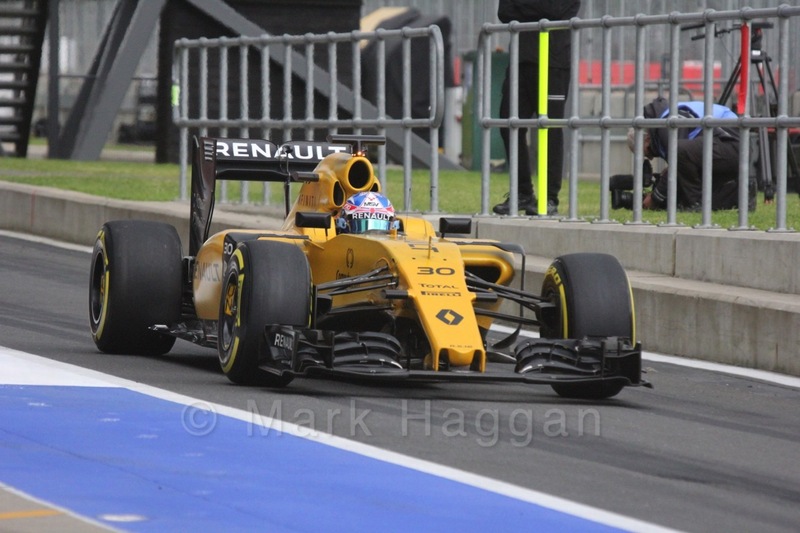 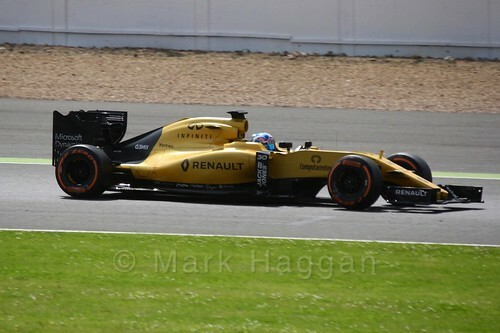 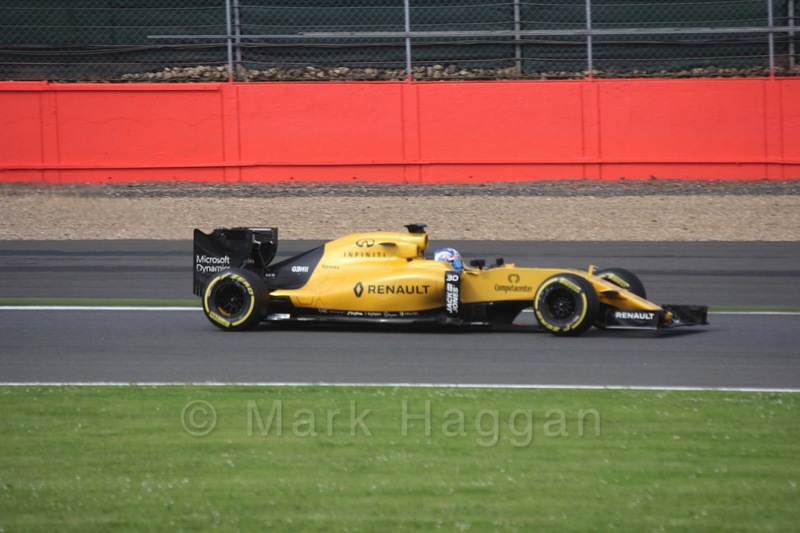 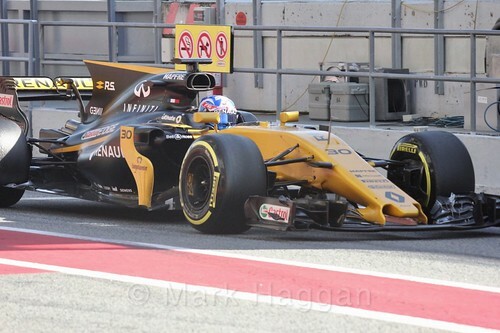 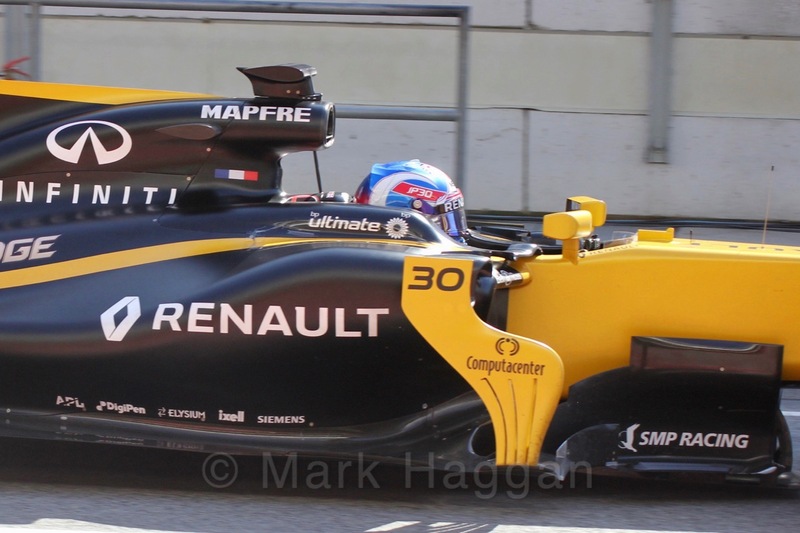 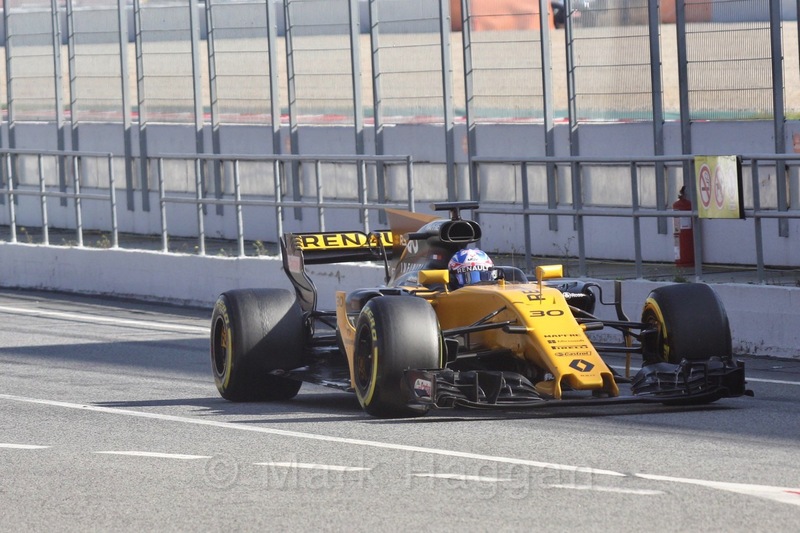 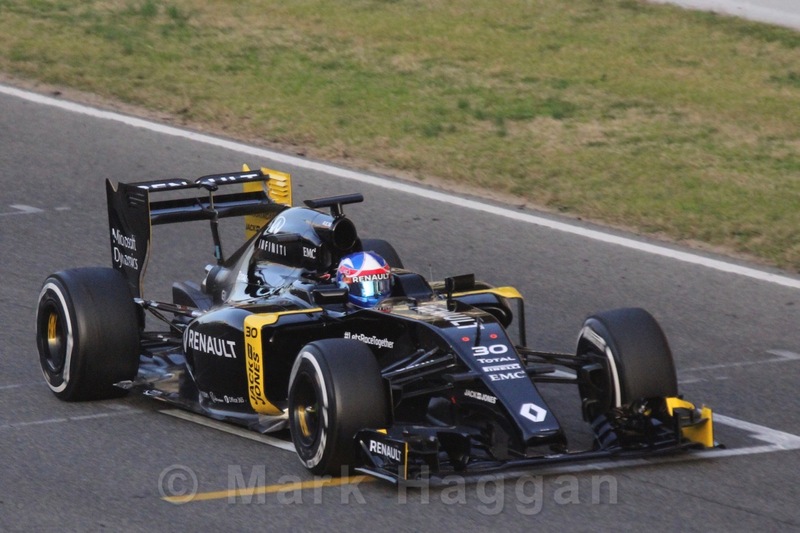 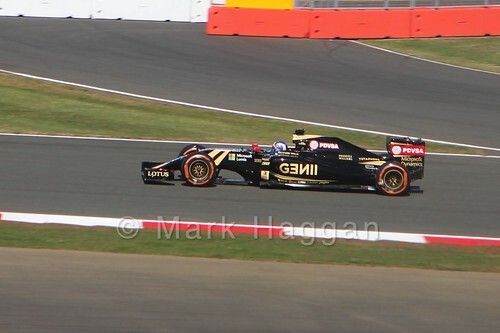 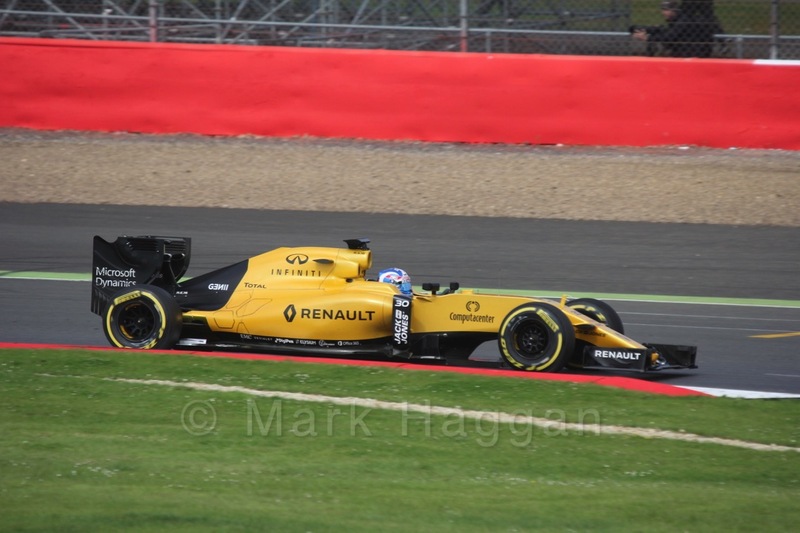 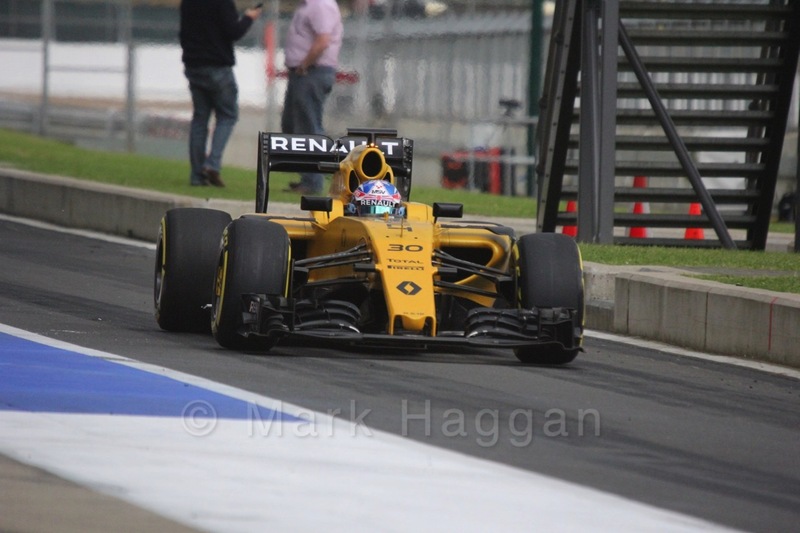 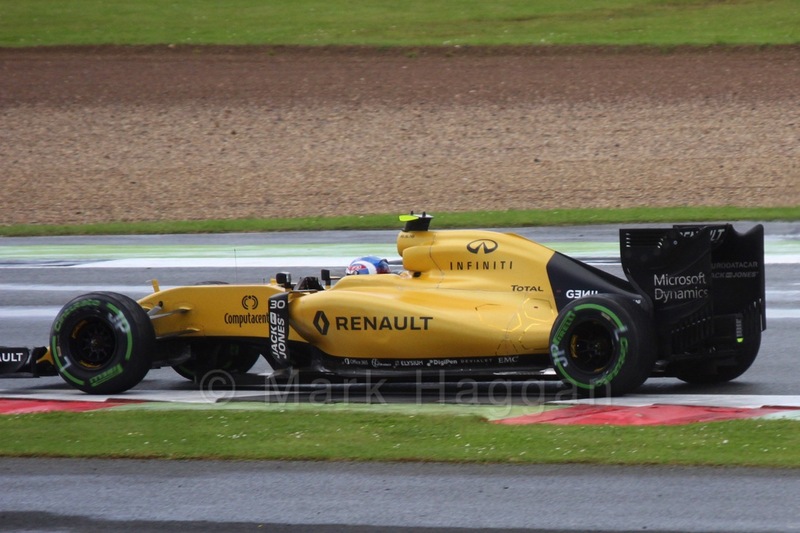 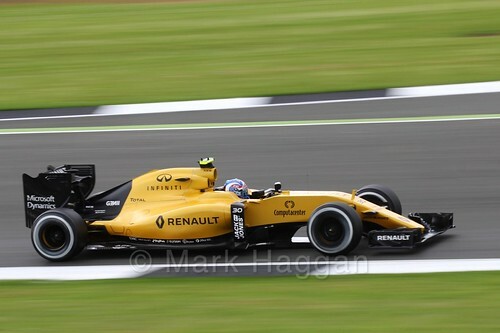 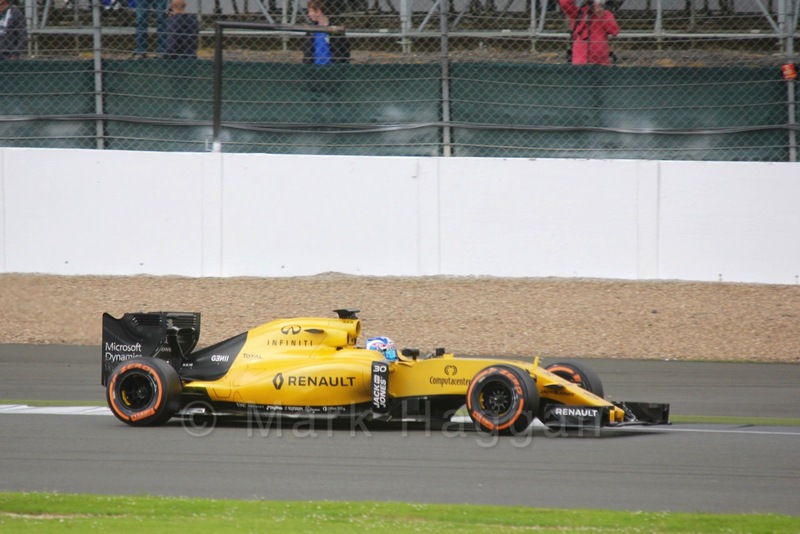 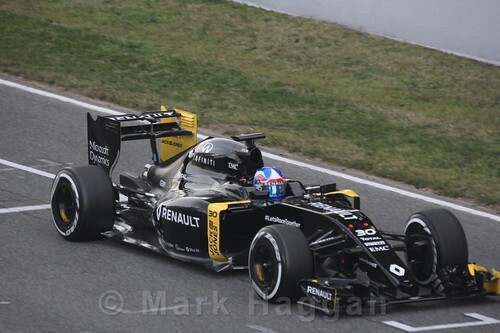 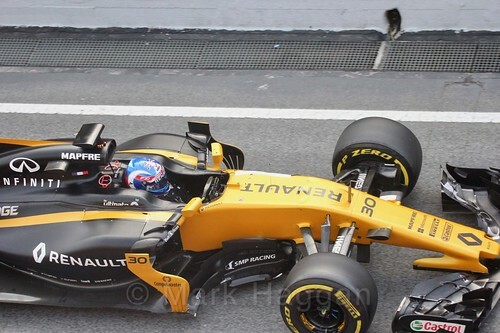 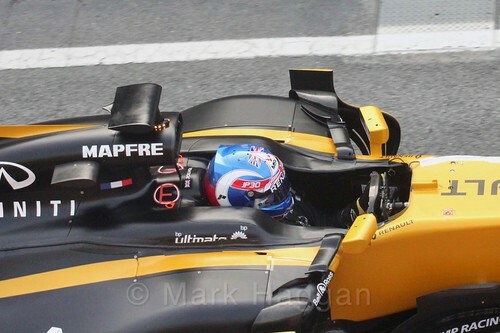 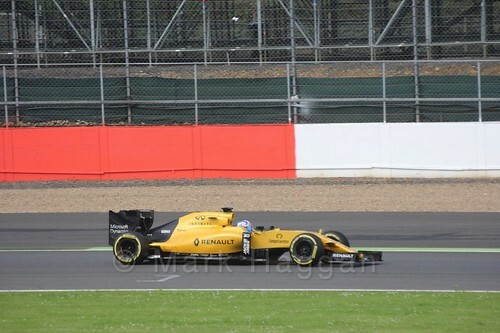 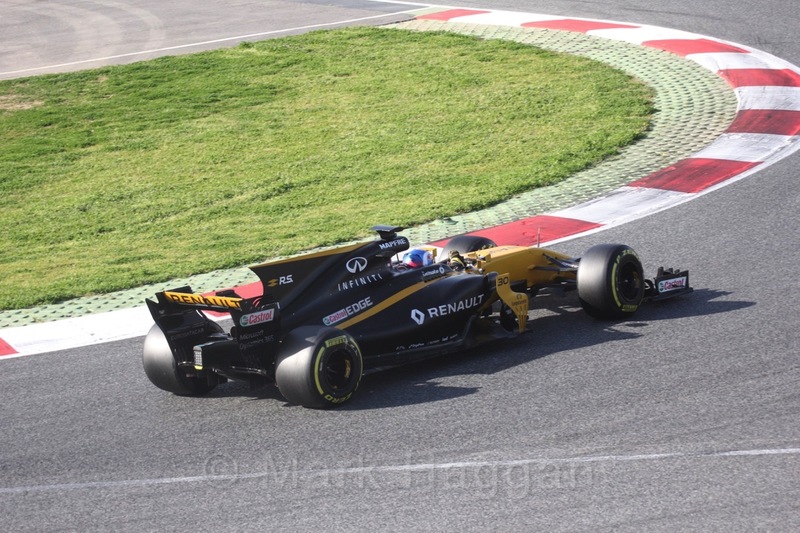 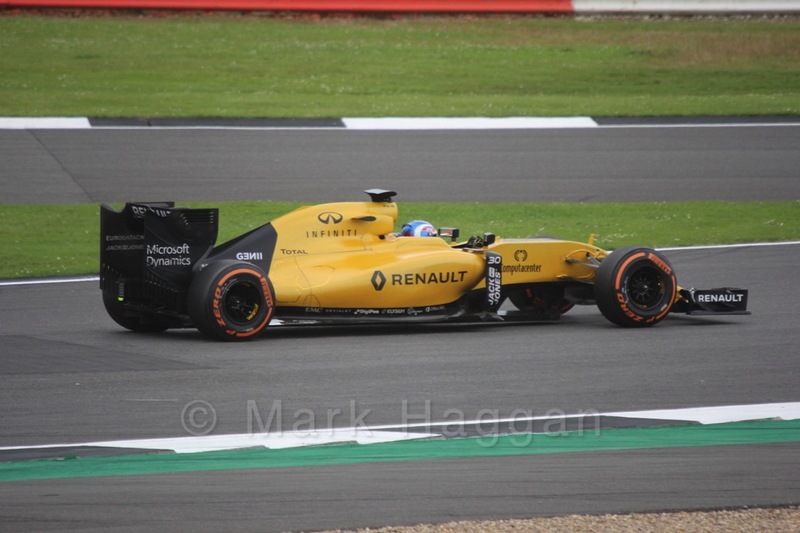 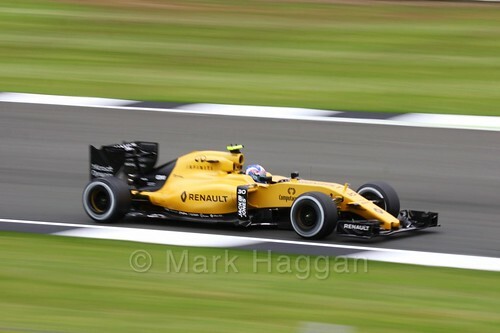 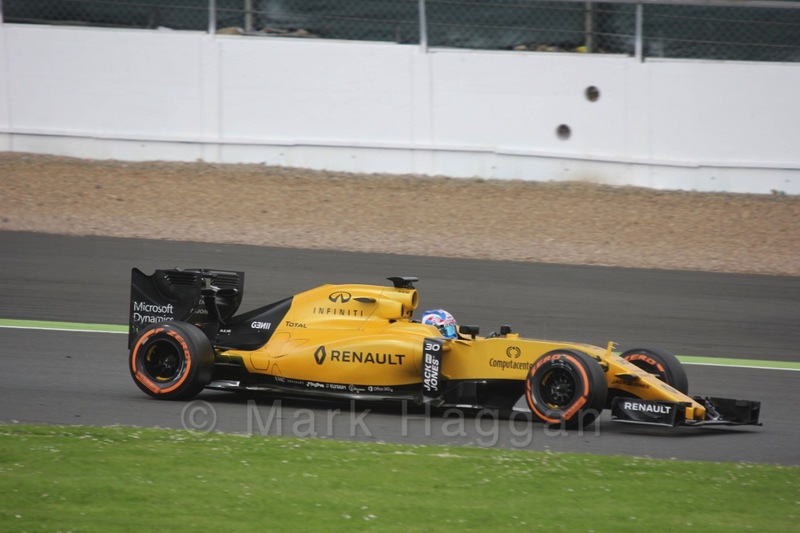 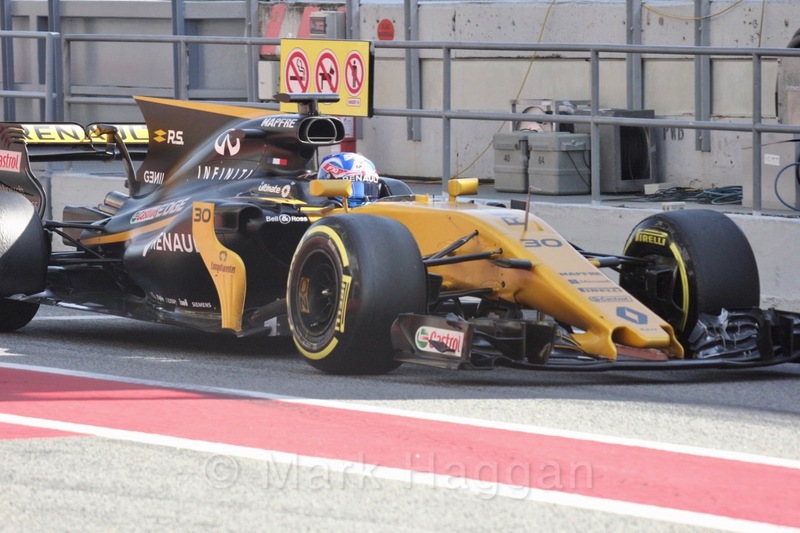 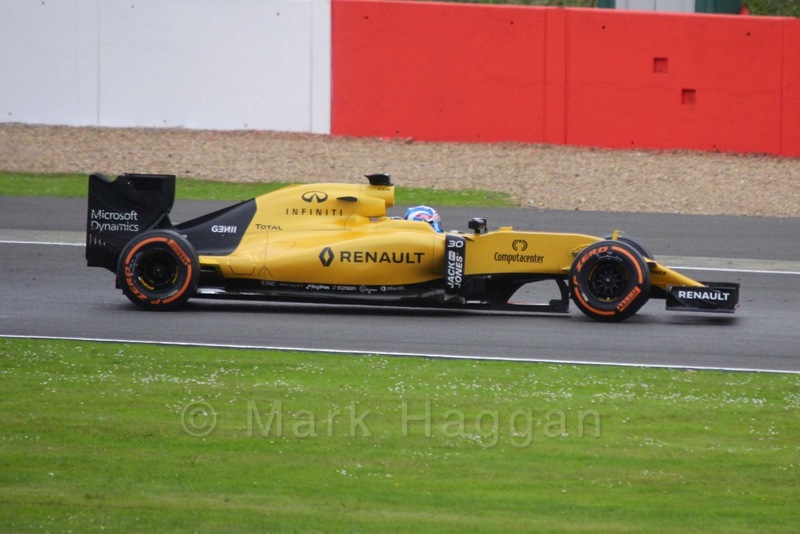 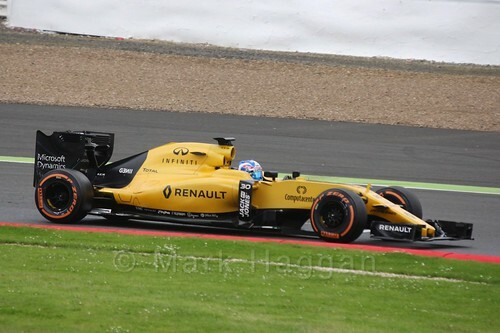 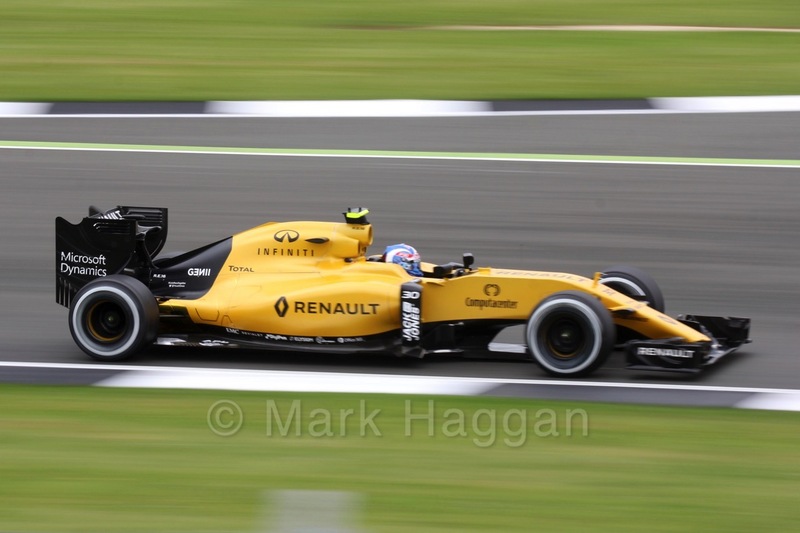 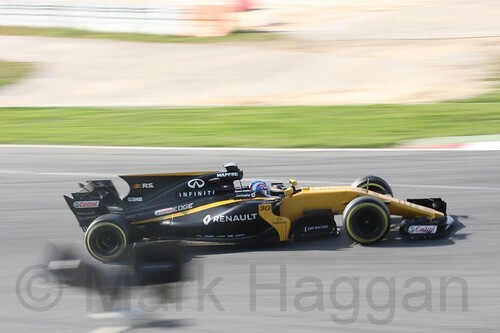 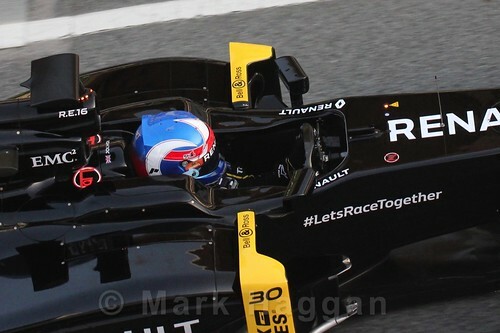 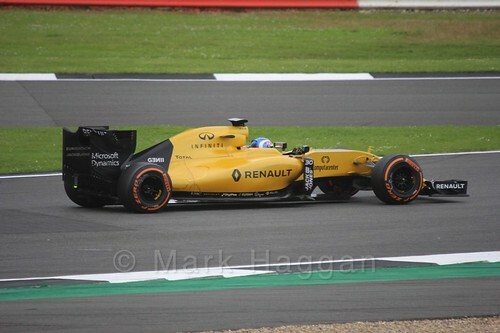 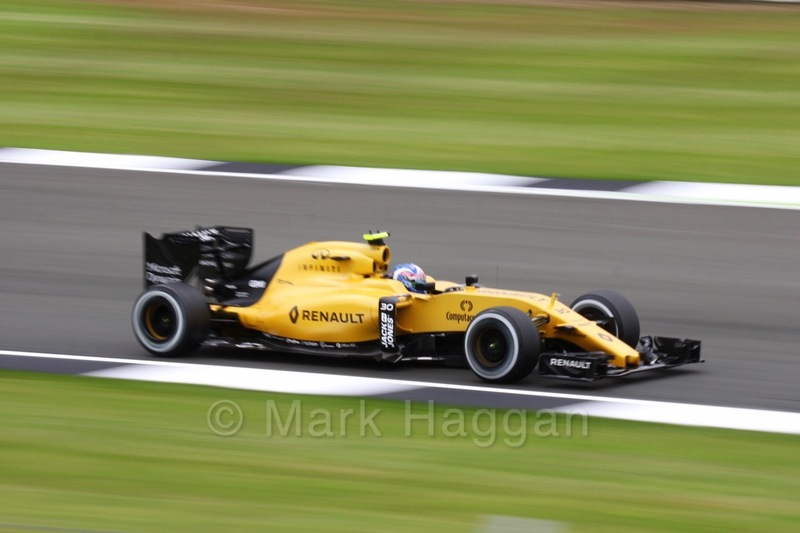 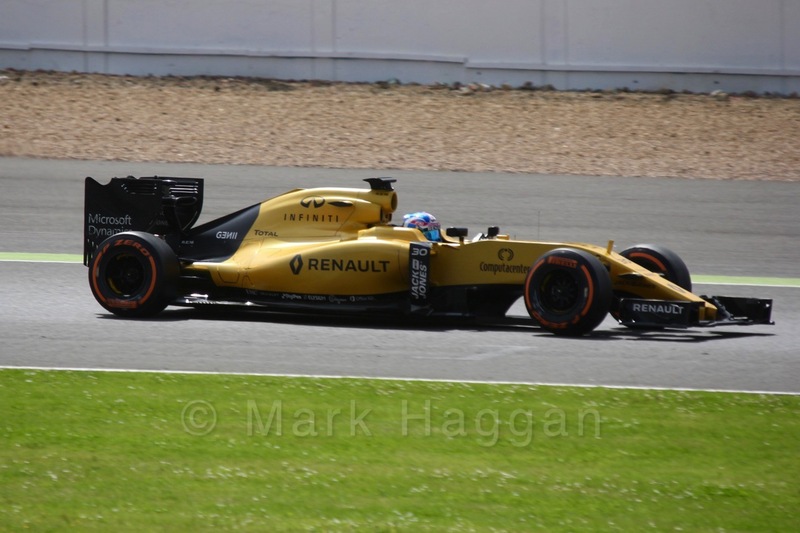 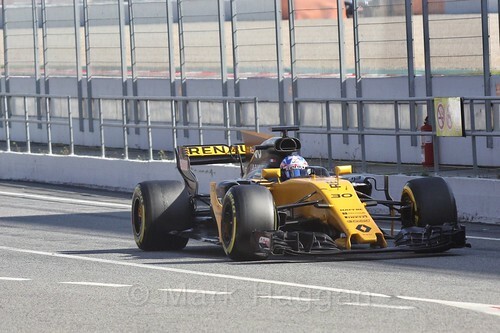 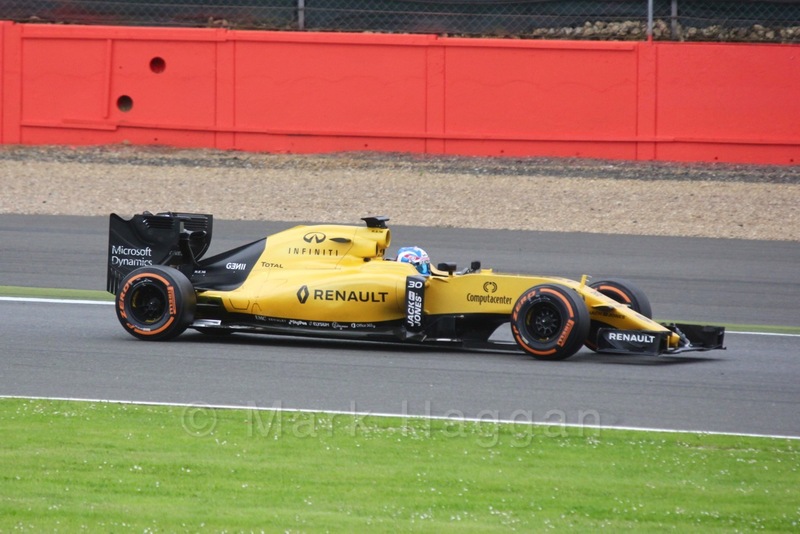 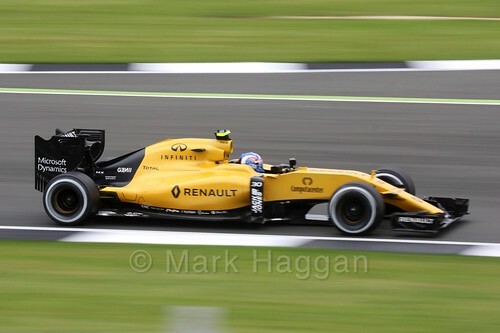 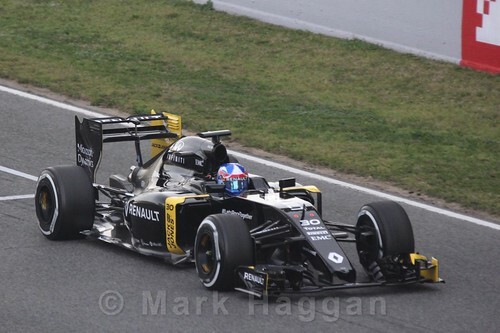 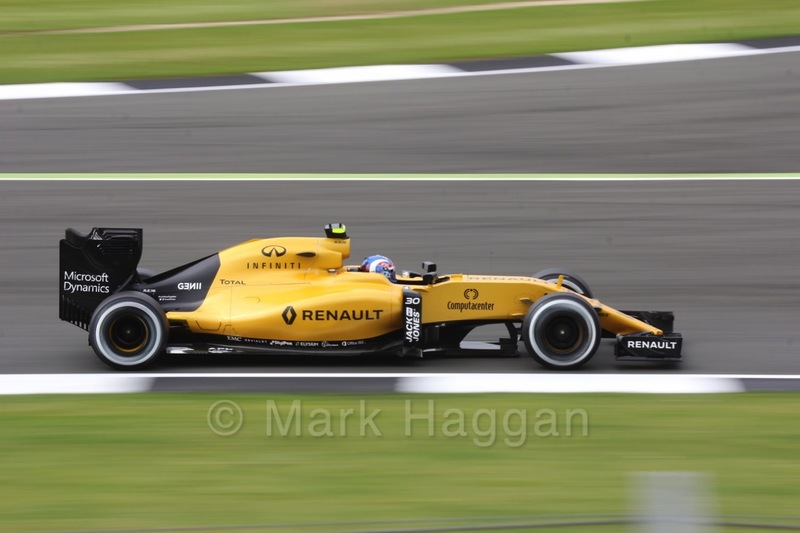 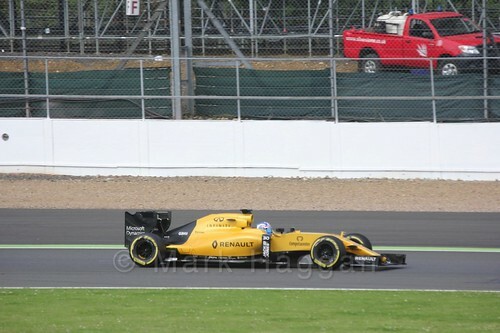 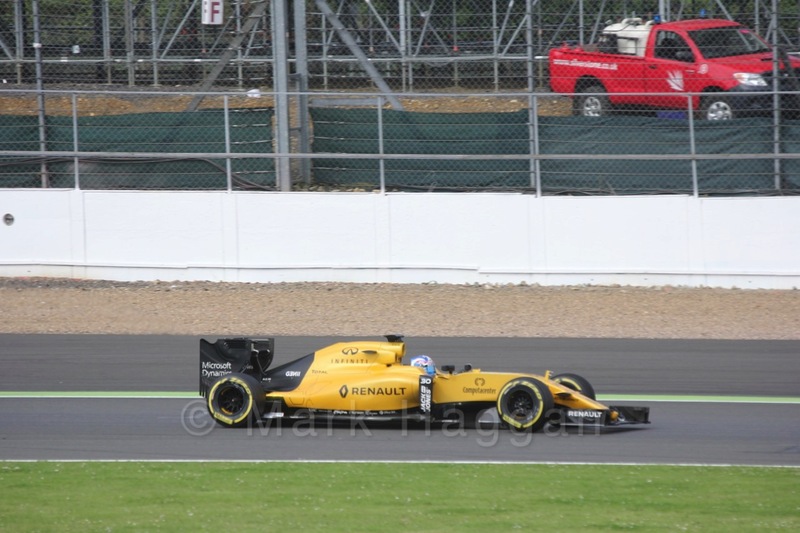 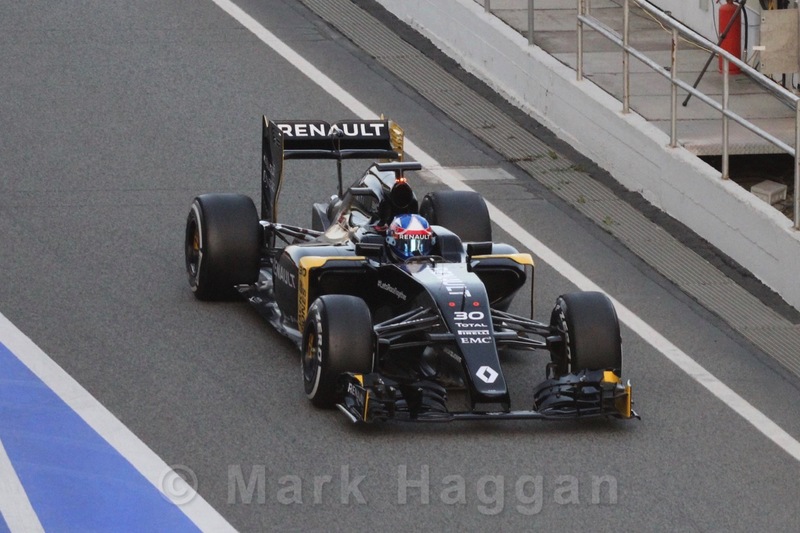 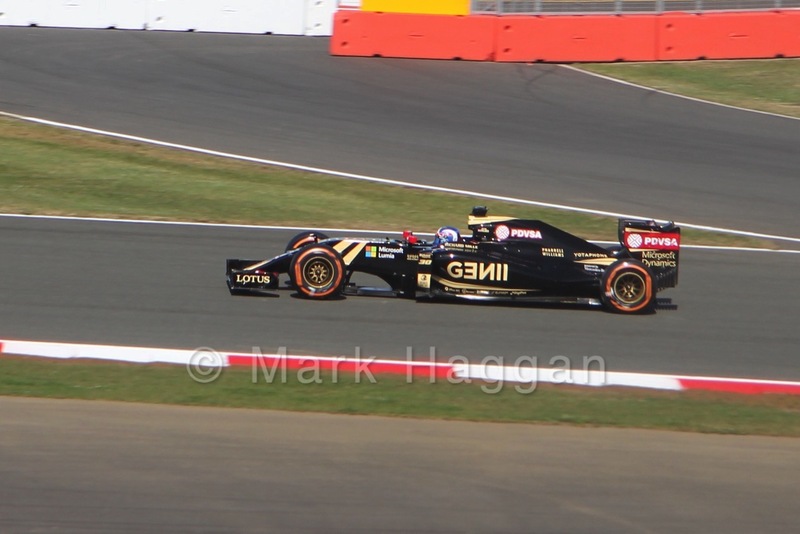 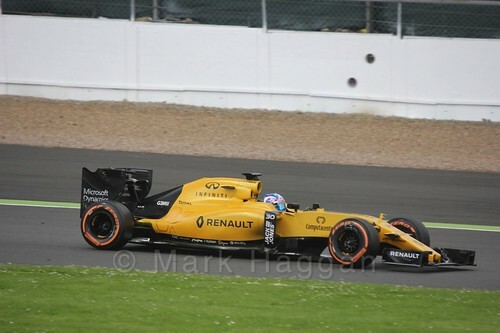 In 2015, Jolyon has been the Lotus F1 test driver, and has had a few FP1 sessions. 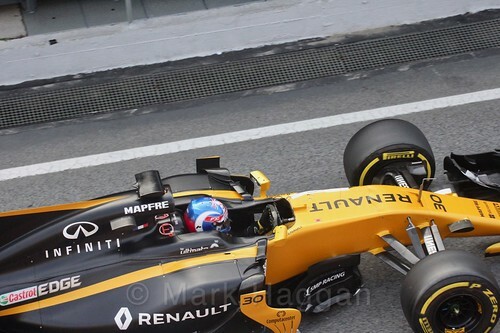 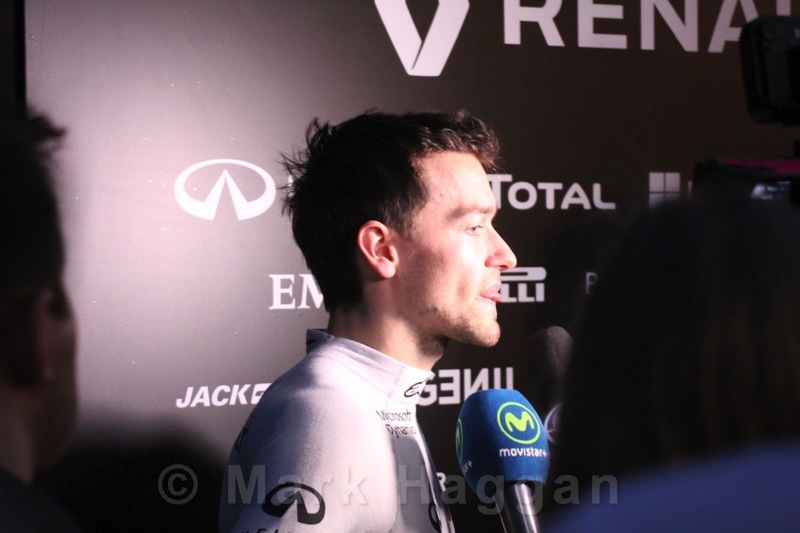 In October 2015, he was announced as having the race seat at Lotus for 2016, with the team being renamed Renault. The team retained Jolyon’s services for 2017 but dropped him mid-season. 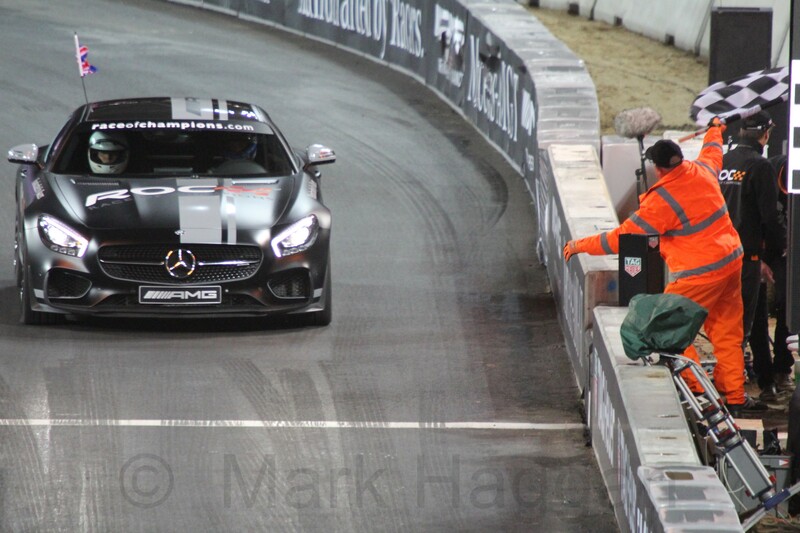 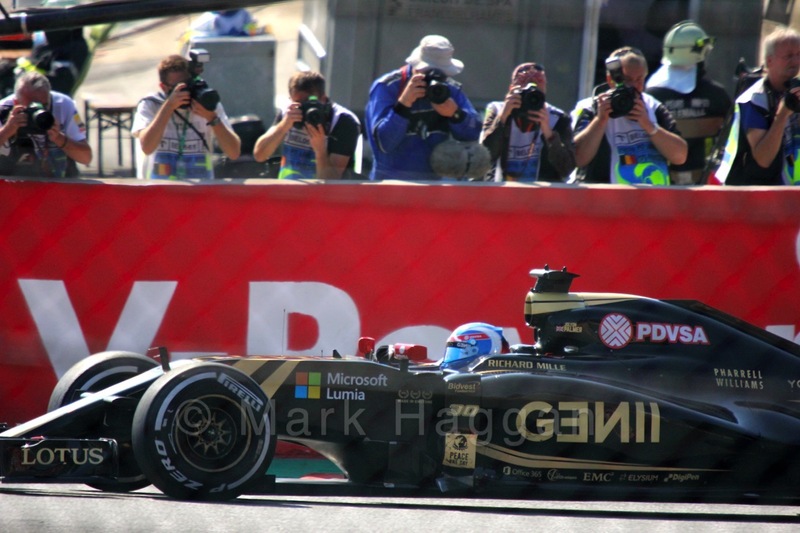 You can see my galleries of other current and former Formula One drivers here. 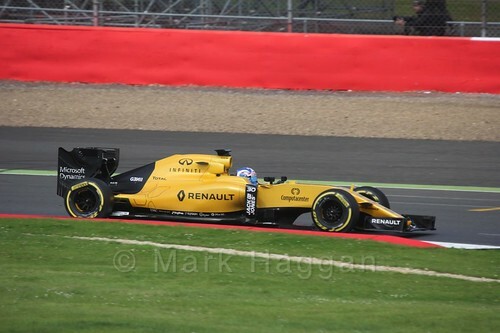 Formula One, Motor Racing F1, Formula 1, Formula One, Gallery, Jolyon Palmer, Motor Racing, Motor Sport. permalink.